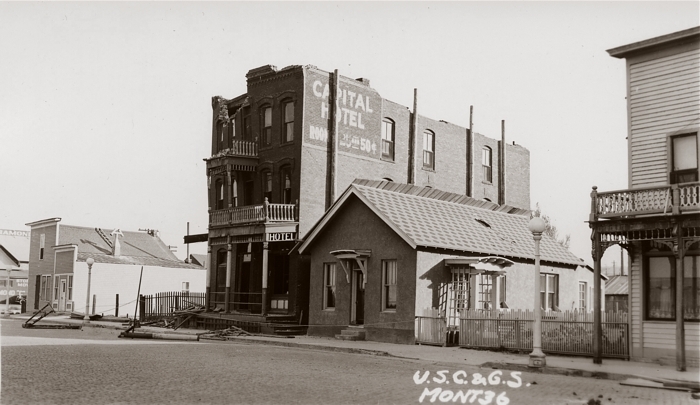 The Capital Hotel was one of several hotels and boarding houses that sprang up near the Northern Pacific (Union) Depot in the 1880-90s. Old Sanborn fire insurance maps indicate that the Capital Hotel building was constructed sometime between 1884 and 1888. 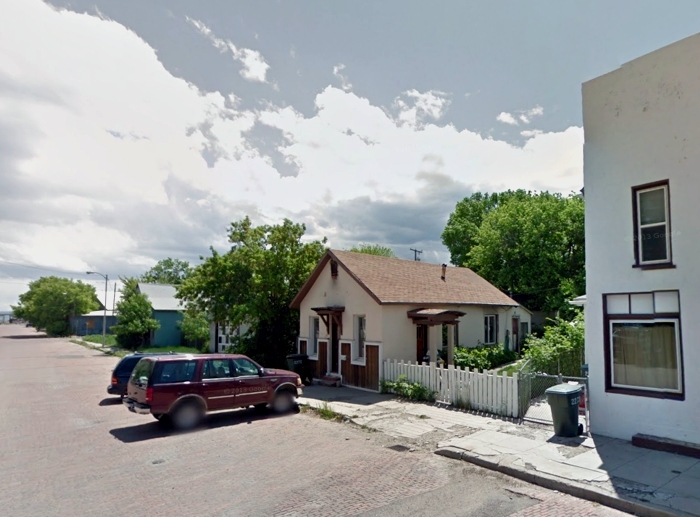 The old photos of the building presented here are all from 1935, the year the hotel fell victim to a series of devastating earthquakes, which hit Helena's Sixth Ward particularly hard. 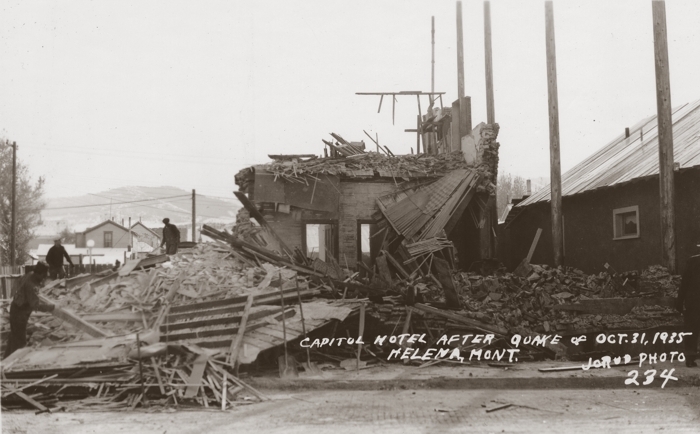 Never one of Helena's premier hotels, the Capital was already in decline when the earthquakes came. 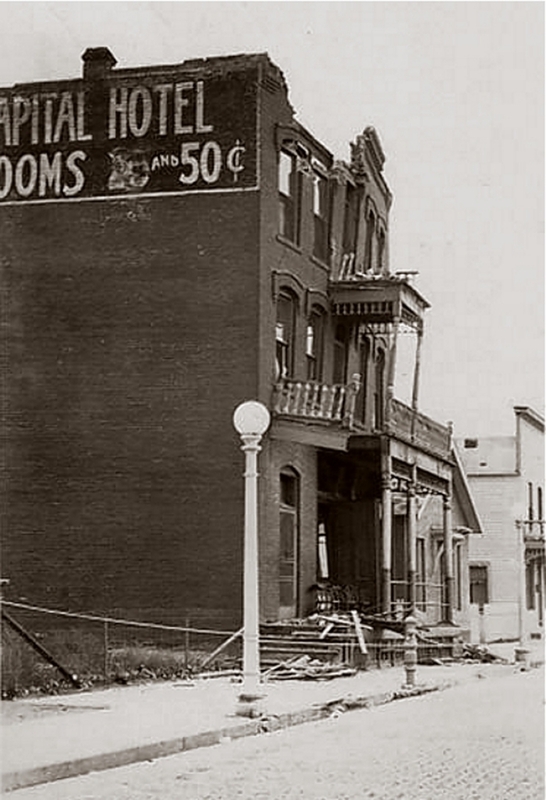 At appears in the above photo that efforts were undertaken to prevent the west wall of the hotel from collaping onto the dwelling next door -- which is still standing today. 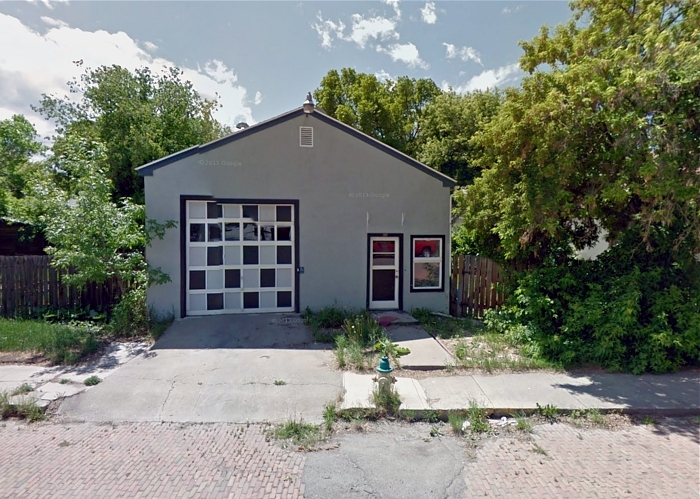 The wall is apparently shored up by telephone poles, and a protective sheath of lumber has been placed on the the roof of the house.